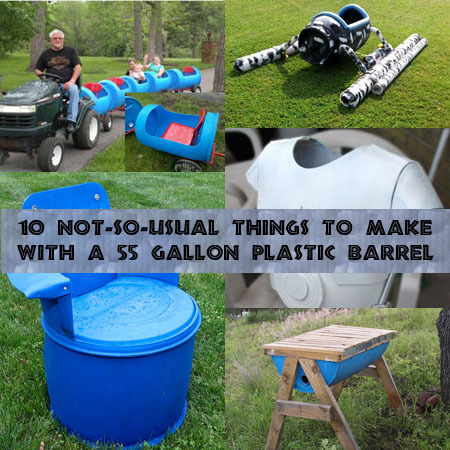 While researching for a post about reusing 55 gallon plastic barrels, we came across people who had figured out ways to use them in a manner that was a little more creative than most of us. Thought these ideas might spark new ideas from you. 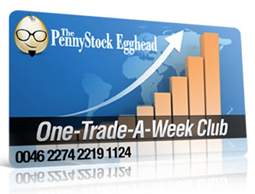 If they do – please send us your idea and a photo we can use! 1. 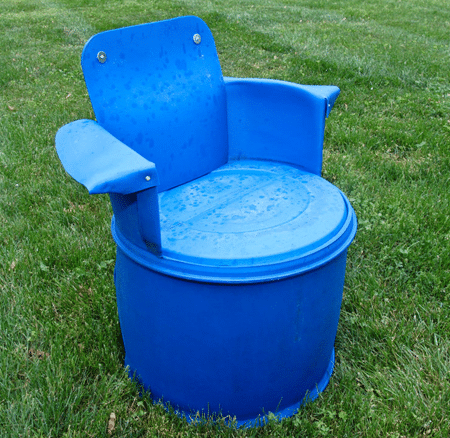 Outdoor Furniture – All this needs is a little door on the seat that opens into an ice chest. 2. 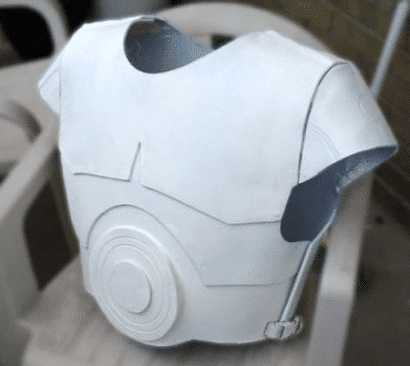 Body Armor (For Halloween or Comic Con) – This could also be used under a shirt when playing paintball! 3. Boat – That right, we said boat. 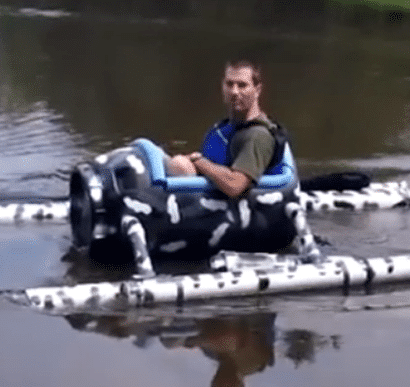 With just a single pickle barrel and several feet of pvc – personal lake boat! Not the sharpest picture, but there are loads more in the step-by-step video. 4. 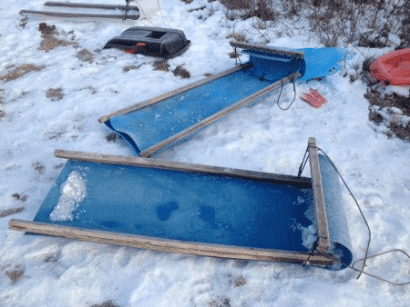 Sled – This one is so simple why didn’t we think of it? We couldn’t find a link with any instructions, but it looks simple enough to recreate from the photo. 5. 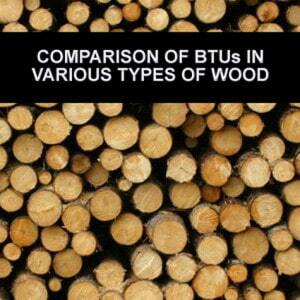 Log Skid – Before we came across these in our research, we didn’t even know such a thing existed. 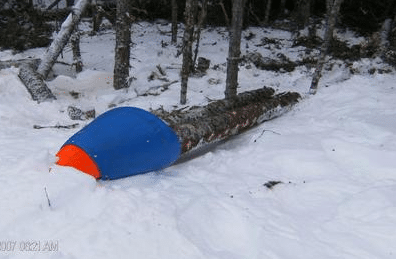 Now we can make one as soon as we find a tree that offends us enough to cut it down. 6. Top Bar Bee Hive – Want to have your own bees but don’t want to pay the big bugs for a pre-made hive? 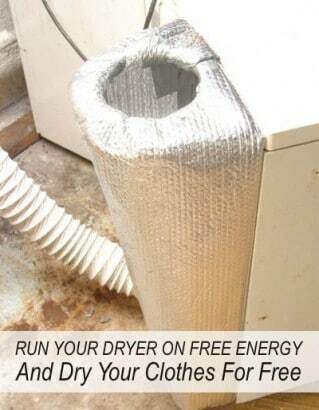 Now you can make your own on the cheap. 7. 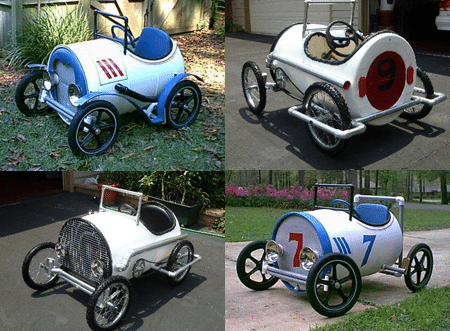 Pedal Car – You won’t exactly be able to take this out on the road, but a kid you know could have years of fun in one of these and you can trick it out however you want. 8. 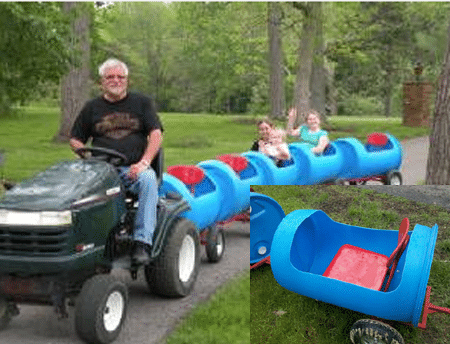 Tractor Train – There’s no real plans that we could find for these, but you can buy the hardware from the link provided. 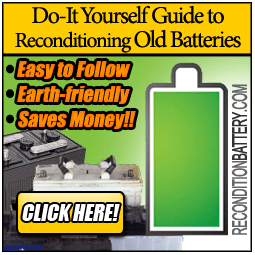 If you’re handy (and we know you are) you could also use the photos at the end of the link to fabricate your own hardware. 9. Dog Training Tunnel – We didn’t really feel too much of an explanation was needed for this one. 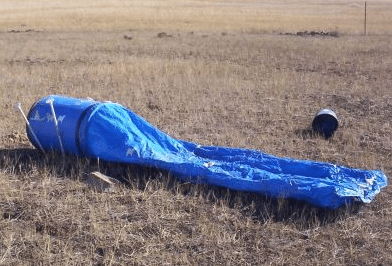 Just be sure to make the edges rounded off with a blow torch or similar so your dog doesn’t get scraped up as they run through this at breakneck speeds. 10. 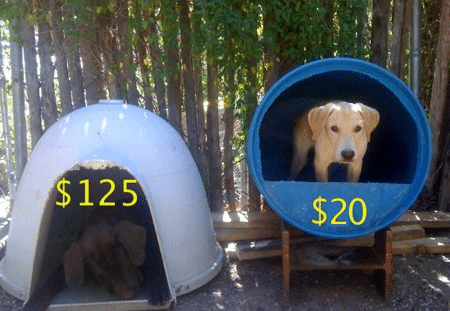 Dog House – The photo says it all. Your dog will be just as happy with a $20 barrel as they will with a $100 and something plastic igloo. Again, be sure to make the edges rounded off with a blow torch or similar so your dog doesn’t get cut or scraped up as they jump in and out. Great ideas ! ! ! They’do make good nesting boxes for large ducks, muscovies and geese. Good for chickens too perhaps. 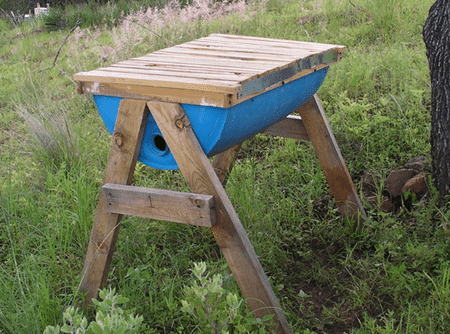 they make good composting bins too – a strong PVC pipe, or metal pole thru the middle, and an X frame to put it across, a hatch to put the compost in and ant the hardware to keep the hatch closed, makes for a turnable compost bin. Standing up, we cut the barrel into 3rds. Screwed a couple small stakes to the inside of top 2 rings to help stay in place. We use it to grow potatoes. 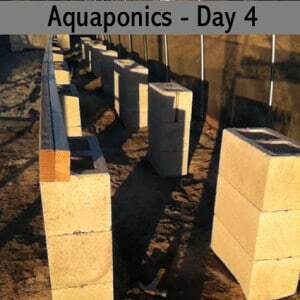 Start growing in bottom then add the next ring as the plants pop up. eith the dog house the large piece that is cut out can be attached to the top and bolted/or pop riveted into place to make an over hang and caulked so rain does not go right into the dog house. At places like tractor supply they sell the plastic flexible attachable dog doors to help keep wind/rain out of dog houses and you can trim them to the shape of the opening. I love how you left the lip at the bottom to keep the shaving from falling out. I love these ideas!